It is a list you are chatting with. The conversations are displayed at the top in the order of newest. Use 2 coins to send the message. 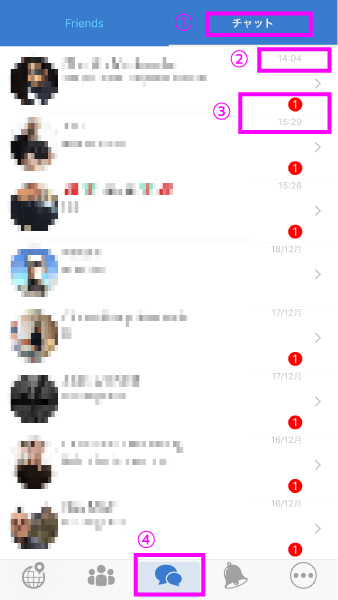 If there is the latest message, it is displayed in red with the number of messages.